Now that Halloween is over and you have candy to last you into the new year, it’s time to plan for another big day we’ve all been waiting for. 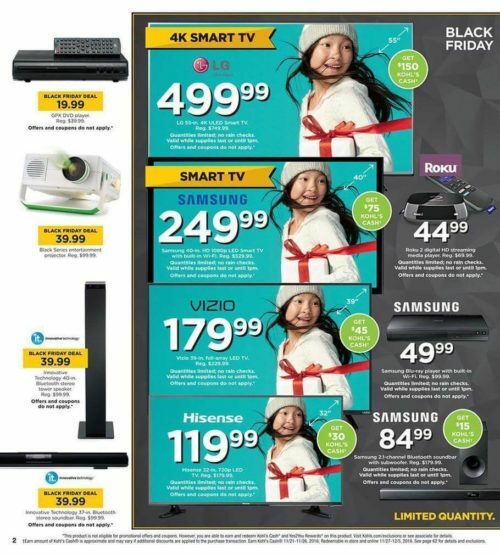 No, not Thanksgiving—Black Friday. 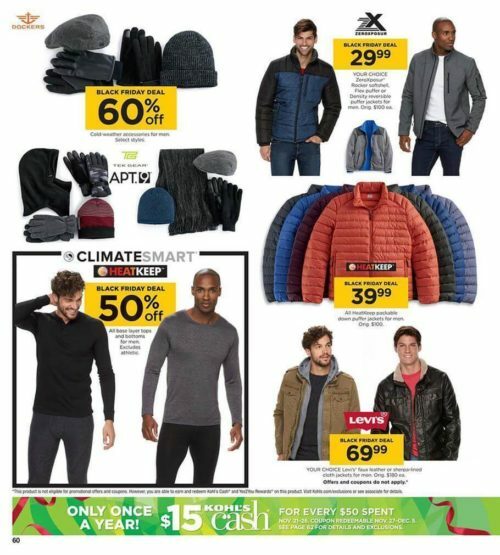 Like a good friend, Kohl’s wants you to be prepared in advance with their Black Friday Ad Scans. 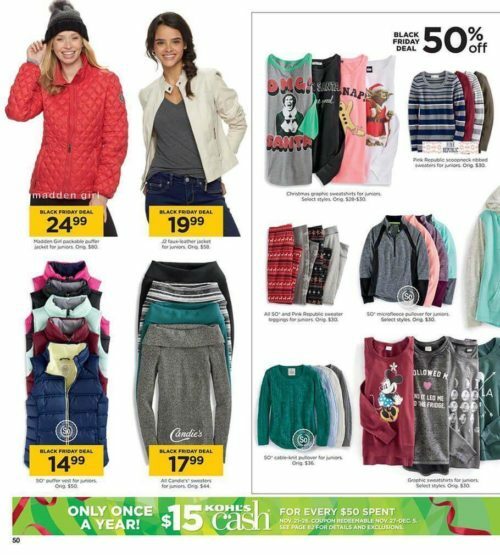 You can check out the complete 64-page list of sales happening at Kohl’s on Black Friday right now. 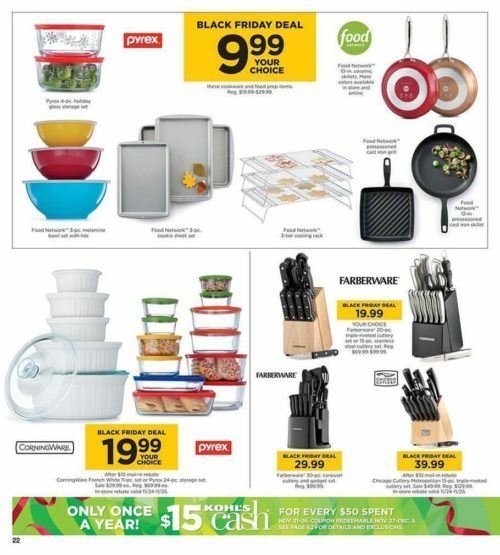 This year, you don’t have to wait until midnight for sales at Kohl’s. The store will open at 6 p.m. Thanksgiving Day. 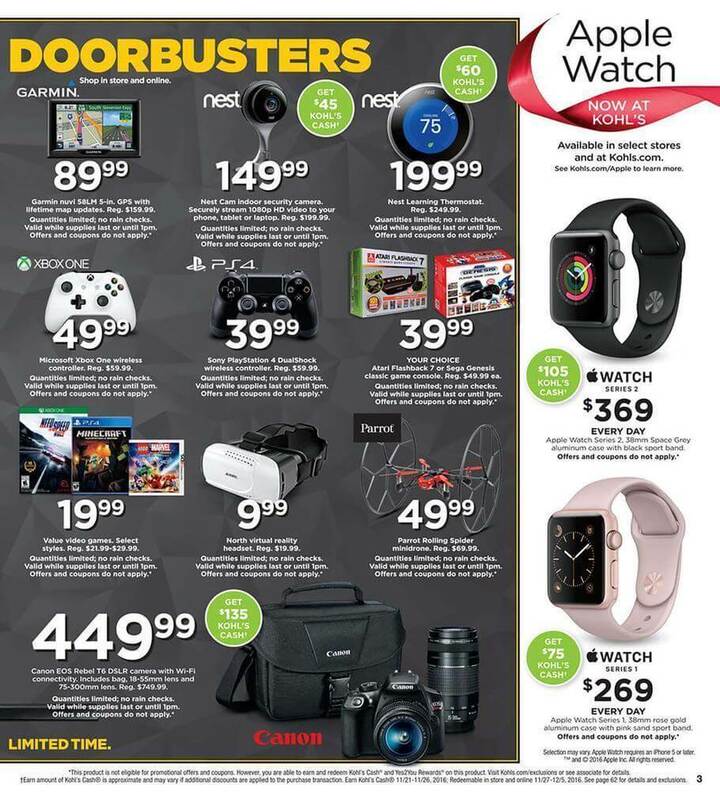 All doorbuster sales are valid from Thanksgiving night until 1 p.m. on Friday. Ready to start planning your holiday shopping? 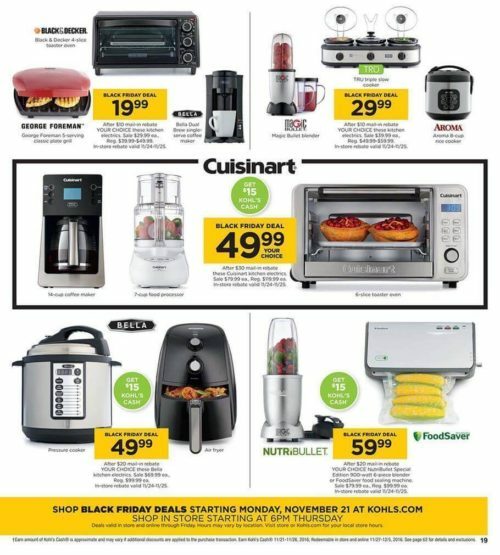 Here’s a look at some of the great deals coming up in a few weeks at Kohl’s. Kitchen appliances and gadgets in dire need of an update? The wait is over. Christmas is right around the corner. Get your decorating on. Stock up on your winter wardrobe. 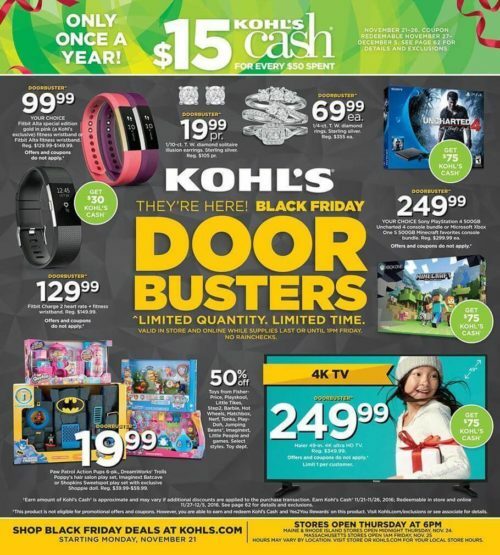 For another year, you’ll be able to get $15 in Kohl’s Cash for every $50 you spend. On top of that, don’t miss out on Yes2You Rewards—members earn one point for every dollar they spend and get a $5 reward for every 100 points. 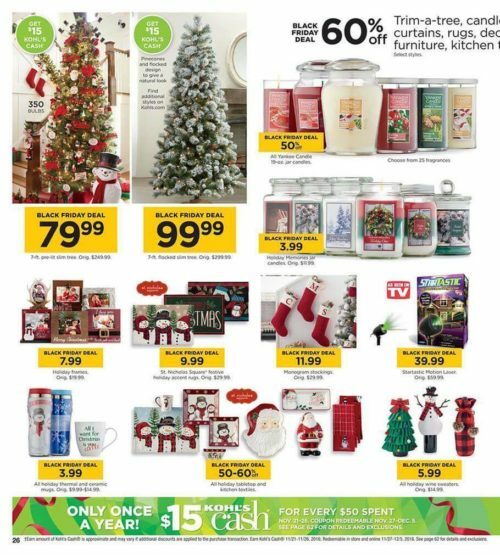 After that second plate of food and too much pie (we won’t tell), get ready to burn off the big meal by hitting the sales. This story originally appeared on Simplemost . Checkout Simplemost for other great tips and ideas to make the most out of life.